The Pontos collection brilliantly combines Swiss watchmaking traditions and technical mastery with modern design. It gives contemporary shape to the passage of time, providing the mechanical precision it deserves. The very epitome of rigorous expertise, the timepieces in this thoroughbred collection evoke a quest for artistic perfection, underpinned by contemporary refinement. Pontos time passes in a world of clean lines, firmly embedded in the twenty-first century. Its bold architectonic character emerges at first glance. Its mechanical heart lends substance and character. Dedicated to lovers of uncompromising watchmaking, the collection masterfully combines rigor and creativity. Seen as a whole, it perfectly symbolizes the aspiration of a brand for which technical innovation and artistic performance go hand in hand. Two new models joined the Pontos line this year. Equipped with self-winding mechanisms, they each in their own way illustrate the creativity of Maurice Lacroix. 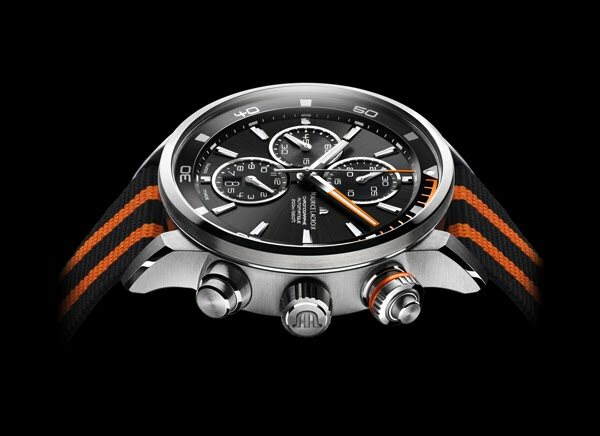 The Pontos S Chronographs appear more dynamic than ever before, imbuing time with a sporty, go-getting spirit. The Pontos Décentrique GMT reaffirms its place in the world through an off-center interpretation of time as it passes and crosses the world's time zones. Design and engineering, architecture and high technology come together in this Pontos range, which asserts its place in a world of openness, modernity and refinement. The collection bears the unmistakable stamp of Maurice Lacroix, whose energy has transformed time into a way of life that accepts no compromise. 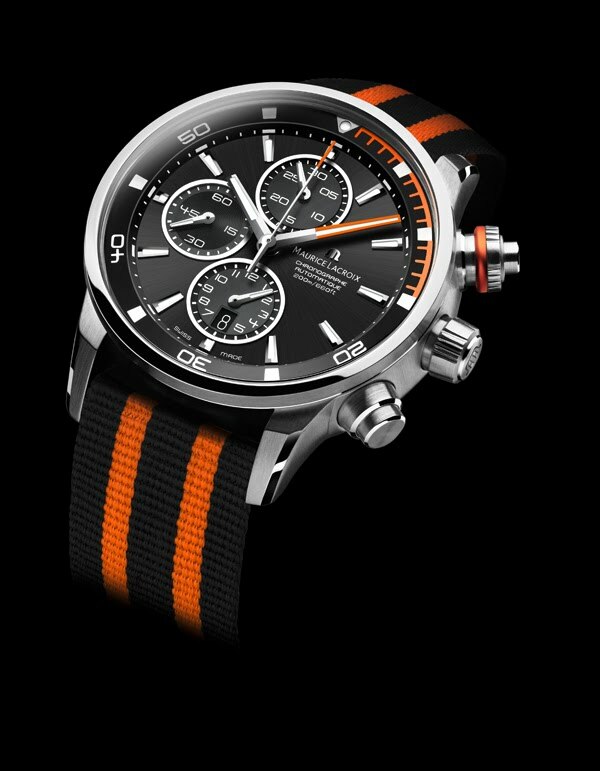 Resolutely sporty, the character of the Pontos S is clearly inspired by the world of sport, from the tautness of its silhouette to the determination of its face. The dynamic strap is a perfect match for the case. The allsteel version sports a NATO strap whose contrasting sleek design encapsulates the collection's sporting spirit. Comfortable and hypoallergenic, especially in wet conditions, the nylon strap demonstrates exceptional strength. This no doubt explains its extreme popularity with athletes, divers and astronauts, who can easily adjust it according to the thickness of their gear. Available in a range of colors, the Pontos S is mechanized by the self--winding Valjoux 7750 movement, which boasts a long pedigree in terms of performance and accuracy. The Pontos S will unquestionably appeal to sports and diving enthusiasts or simply to those in love with an era that has turned elegance and sportsmanship into a way of life.